The following are 8 strategies students can use to get ready to be successful with their scholarship quest. Strive to be well-rounded. Participate in extracurricular and community activities. Write about your activities in your scholarship and college essays in a descriptive manner. Describe how you benefit or can benefit others as well as yourself with the extracurricular and community activities in which you are involved or plan to be involved. Scholarship programs look at many factors such as community service, leadership, presentation of your application package, special or unusual talents or skills, and so on. See “Writing Your Scholarship Résumé: How to Stand Out and Why Grades Don’t Mean Everything,” in Winning Scholarships for College, 5th edition for more information. Always remember the five P’s: Prior preparation prevents poor performance. Prepare for the scholarship search early. Do not wait until your senior year. Senior Year Head Start can help you with early preparation. Do not rely on your parents to do all the work. 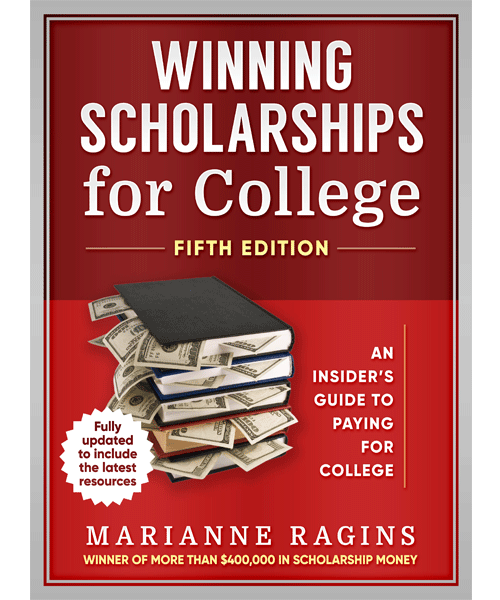 For parents and adults who are wondering how you can help, see the chapter “For Parents Only: Helping Your Son or Daughter with the College and Scholarship Process,” in the 5th edition of Winning Scholarships for College. Avoid mistakes on your essays and your applications. Always spell-check, proofread, and ask another person to proofread your applications and essay for errors. Try to do this offline as well. 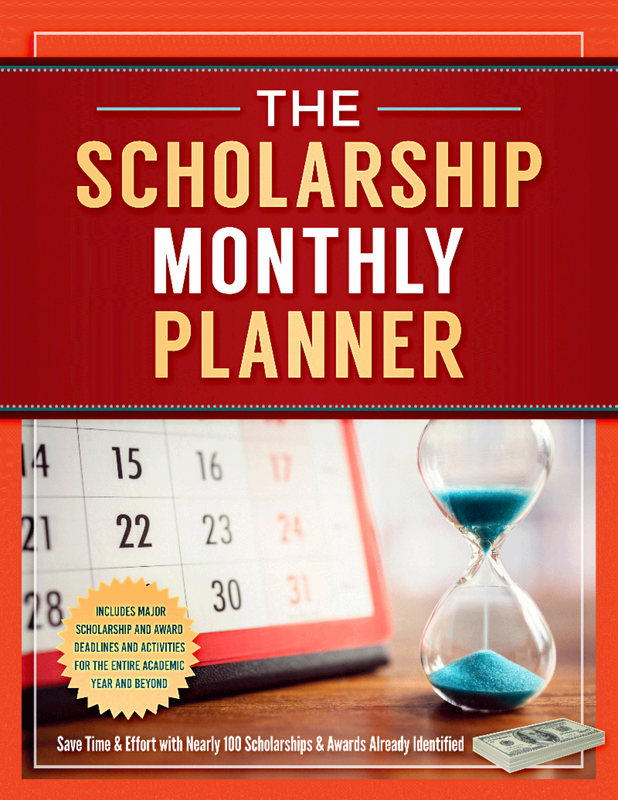 For more information, see the chapter Scholarship Do’s and Don’ts: Insider Tips from Scholarship Providers in the 5th edition of Winning Scholarships for College. Do not ignore scholarships that may be local or those for small amounts. Scholarship amounts, even as small as $50, can add up. My scholarship total of more than $400,000 included book scholarships as small as $50. See chapter 4, “The Local Scholarship Search: Finding Scholarships in Your Backyard,” for additional information. Do not rely on only one source such as the Internet for their scholarship search. Use many resources. Most scholarships on the Internet or in the free online scholarship searches are nationally known and may be harder to win due to greater competition. Local and regional scholarships are not found as easily, and they may be easier to win because the applicant pool is smaller. You have to use a combination of resources to find as many scholarships to apply for as possible. The chapter, “The Scholarship Search: Discovering Hidden Treasures,” in the 5th edition of Winning Scholarships for College has more information in this area. Learn how to effectively recycle essays. Parts and pieces of an essay can be used to create a slightly different one for another organization. Recycling can help you save time, especially when applying for many different scholarships. See “Writing Scholarship Essays That Get Noticed,” in the 5th edition of Winning Scholarships for College for help with recycling essays. Do not look for the easy way out. Don’t believe in a scholarship scam that promises to do all the work for you. Understand that those things for which we work hardest often bring the greatest rewards. Hard work in the scholarship process as a high school student could result in an easy college life without work later, or a loan-free life after college. This information is an excerpt from Winning Scholarships for College, Fifth Edition.